Cardio Tennis is a tennis inspired workout similar to interval training which is periods of high intensity followed by short periods of rest. Interval training is the best way to train for optimal health and fitness. It is a healthy workout...	Read More..
Cardio Tennis is a tennis inspired workout similar to interval training which is periods of high intensity followed by short periods of rest. Interval training is the best way to train for optimal health and fitness. It is a healthy workout that generates amazing results. Our instructors are all fully certified Australian tennis coaches all with exstensive experience in cardio tennis and fitness training. It is a very social and fun class for players of all ability levels taught by our australian tennis/fitness experts. If you've never played tennis before it is a great way to be introduced to the sport and if you are an experienced high level tennis player it is the best way to train for tennis. 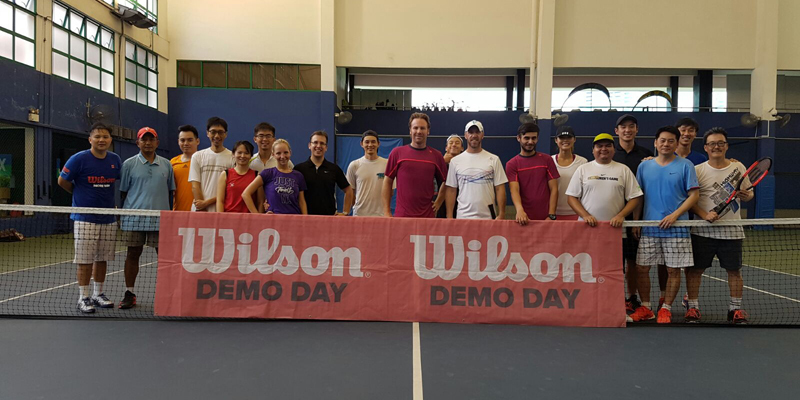 Buy a Singapore Tennis School gift card and let someone experience the fun of tennis! Offering a variety of tennis lessons to students of all ages and levels. Its experienced coaches will come to you at your condo tennis courts or arrange a tennis facility close to you. All instructors are fully certified Australian coaches with a minimum of 10 years coaching experience. Students can also try out cardio tennis, a kind of interval training, which is periods of high intensity followed by short periods of rest. Interval training is the best way to train for optimal health and fitness. It is a healthy workout that generates amazing results. The ideal gift for anyone of any age!